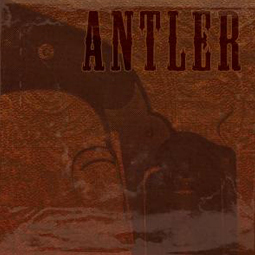 “Nothing That A Bullet Couldn’t Cure” picks up where Antler’s self titled debut left off and takes the listener on an aural trip down memory lane. The heavy has been replaced by depth and the riotous rawk of youth has given way to a more developed sense of self-aware songwriting. The eleven tracks of “Nothing That A Bullet Couldn’t Cure” showcases a band that has grown up both on the road and on A.M. radio. The vagaries of what’s to come are best left to professionals. But history, they say, is doomed to repeat itself. ‘Til then, Antler will wander the woods at night, gun in hand, whistling a familiar tune.